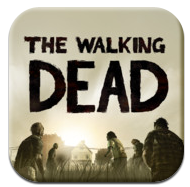 Walking Dead: The Game (v1.0) — Mobers.ORG — Your Daily Source For Mobile FUN! The Walking Dead is a five-part episodic game series set in the same universe as Robert Kirkman’s award-winning comic books featuring Deputy Sheriff Rick Grimes. This is not another shoot ‘em up; it’s a game that explores some very dark psychological places, revealing that the undead are not the only thing to be afraid of when society crumbles.